Anything we do or use consumes energy in some form. In our daily life, the food we eat gives us power to move and function, while devices get power from either fuel or electricity. When we are on Earth, it doesn’t strike us as to how these things affect our everyday existence. However, when you need to deploy a satellite into outer space, it becomes a lot more important. You must ensure that the satellite can sustain itself and be able to generate its power in the vast emptiness of space. As we dig further into this topic, it might surprise you how satellites get their power, but first, let’s look at the most obvious source of power. Solar arrays are primarily used for deep space probe satellites, as the most abundant thing that an artificial satellite can catch is sunlight! Although solar has not become the ruling source of energy on our planet, when it comes to artificial satellites, it’s the most predominant source of energy. Unlike conventional solar panels, artificial satellites have specially built solar panels known as solar arrays. 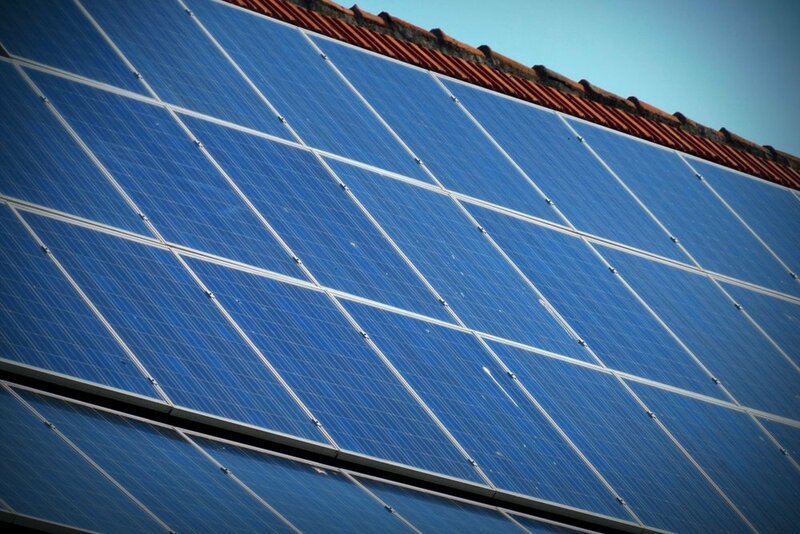 These arrays are unique in the fact that their efficiency in converting sunlight to electrical energy is much higher than the efficiency of solar panels on Earth. Not only this, but they’re highly flexible, to the point that they’re more like curtains than panels! Yes, you heard that right. These solar arrays act more like sails and behave depending on the amount of power needed for the artificial satellite. If the satellite needs a lot of power, the solar arrays will be completely unfurled, whereas if the required power is less, then the solar arrays will be compressed accordingly. Artificial satellites in a geosynchronous orbit experience very little drag. These satellites are usually present at an altitude of about 35,793 km. At this level of the atmosphere, the satellite requires very little thrust to maintain its orbit. Along with the lower level of atmospheric pressure, Earth’s gravity is also not strong enough to exert much force on it to pull it out of orbit. However, even though the satellite doesn’t need tons of fuel to orbit the planet, it does require fuel to control its altitude. The three necessary or mandatory controls required to keep a satellite in orbit is yaw, pitch, and roll. Even tiny forces acting on the satellite can severely affect its altitude. They also require fuel when they need to reposition because of other satellites entering orbit. This is where hypergolic fuel comes into the picture. Hypergolic fuel is mostly used in rocket engines, where components simultaneously ignite when they come into contact with one another. This is also used in geosynchronous satellites that are commissioned for 15 years or less in orbit. The two propellant components usually consist of a fuel and an oxidizer. Their main advantage is that they can be stored in liquid form at room temperature, so the engines they power can be easily be ignited and used. The most common hypergolic fuels are hydrazine, monomethylhydrazine, and unsymmetrical dimethylhydrazine. 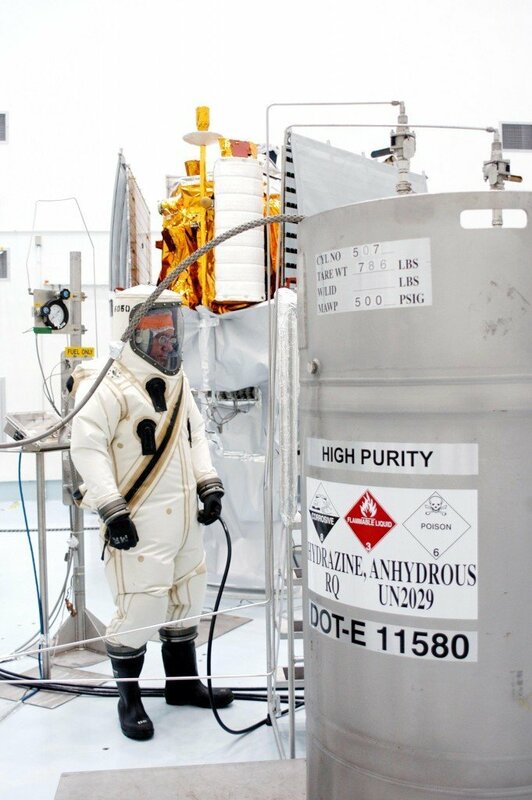 When it comes to the most famous and preferred oxidizer, it’s nitrogen tetroxide. The thruster that Iron Man used isn’t just science fiction; it’s a real-world piece of technology. In spacecraft propulsion, the Hall Effect Thruster is a type of ion thruster in which an electric field accelerates the fuel. An ion thruster or ion drive is a form of electric propulsion used for spacecraft propulsion. It creates thrust by stimulating cations (positive charges) through the utilization of electricity. An ion thruster ionizes a natural gas by extracting electrons from the atoms in the air. It then creates a cloud of positive ions or cations with the help of electricity. These thrusters use Coulombs force to accelerate the satellite. Coulombs force is the Law of Physics, defined as the force calculated in proportion to the product of electric charges divided by the square of the distance between them. The ions get accelerated away from the ion propulsion, which makes the satellite move. 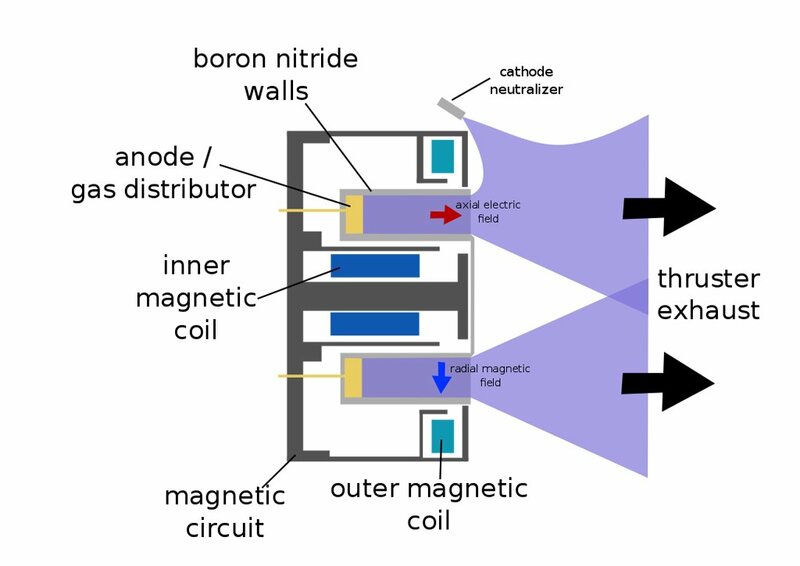 Hall Effect Thrusters work on the same principle as the ion propulsion systems, the only negative effect being that Hall Effect Thrusters are more stable and form a much more stable outward plum, which helps in the thrust. In conclusion, these are just a few main methods that assist in the powering of satellites, but this field will certainly become more innovative and intriguing as we continue our journey out into the stars!